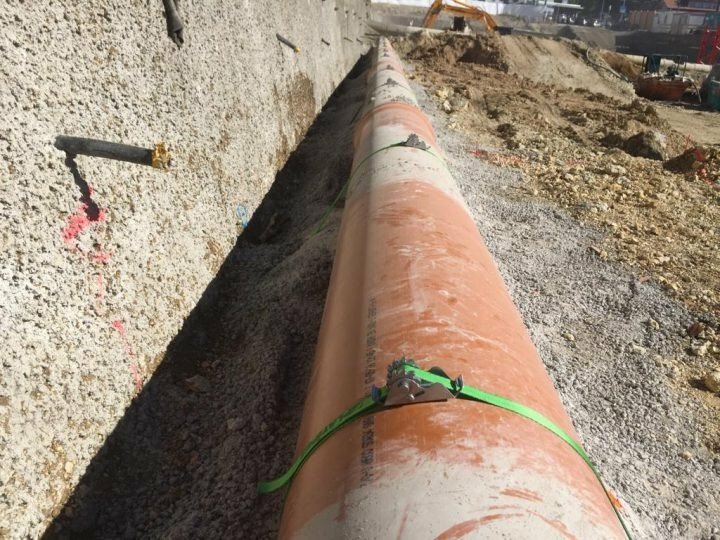 A few photos showing yet another unique application of Platipus Anchors – the temporary support of a pipeline running across a newly excavated construction site. A few hours work by a small team for 20 bespoke pipe anchoring kits. All anchoring work carried out by Anteq.